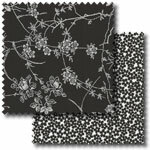 Pelenna Patchworks: Two new ranges available - Ebony and Ivory, and Shiver Me Timbers! Two new ranges available - Ebony and Ivory, and Shiver Me Timbers! Now available on the website we have two new ranges of patchwork fabric, the Ebony and Ivory fabric collection from Benartex, and the Shiver Me Timbers quilt fabric range by Jamie Wood for Clothworks. Ebony and Ivory, as you can guess by the name, is a gorgeous, high quality range of black and white fabrics, in floral and spotty designs - also available is a discounted fat quarter pack so you can get the whole range without spending a fortune! 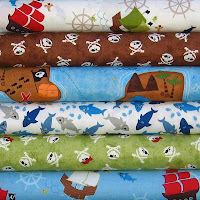 Shiver Me Timbers is a fun, pirate themed range featuring treasure maps, skulls, pirate ships and sharks - perfect for a little matey's bedroom! Again, a fat quarter pack is available of all six fabrics we stock, giving a 5 percent discount over buying each fabric separately.